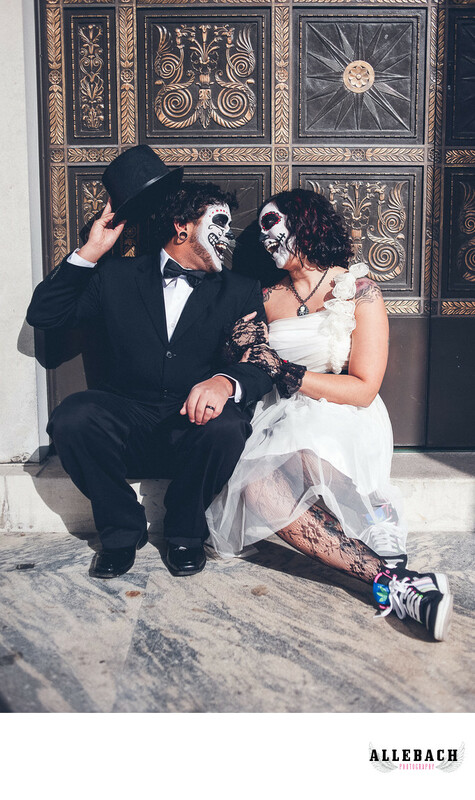 Check out this awesome trash the dress, day of the dead wedding. These photos were featured on Rock n Roll bride (just search Day of the Dead Allebach to find them). I can't tell you how much fun it was walking through downtown West Chester, Pa with this couple. Not only did they show of the Day of the Dead but they kept their tattoos visible in their wedding apparel.